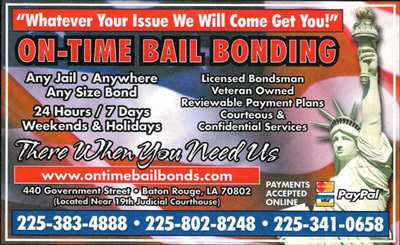 At On Time Bail Bonds, you can depend on fast, reliable bail bonding services and bail bondsman for any court and any jail in Louisiana. We understand the stress and intimidation involved in arranging bail for a loved one, which is why we work hard for a smooth, efficient release. With our assistance, you’ll be able to return to your daily schedule immediately, without having to worry about unnecessary considerations from the legal system. Remember, you don’t have to be a criminal to be arrested, so keep our number handy at all times. Call us now, and speak directly to a bondsman today! We offer services in Bail Bonding and Electronic Monitoring that are described below. “Stuck in jail, need bail I was arrested at 12:30 am on a Friday night, to be honest I was a little bit scrared , not knowing what to expect. It was my first time . 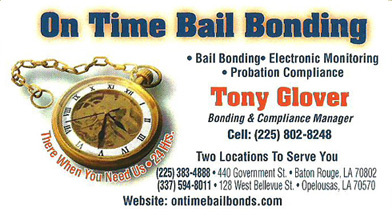 My husband called On-Time bail bonds & they really understood the system & they were very professional, & courteous considering it was about 3:30 am when they got the bond done. They are absolutely an awesome company. When a friend or loved one has been arrested and is facing charges, you can always turn to a Baton Rouge, LA, bail bondsman agent to get them out of jail fast. 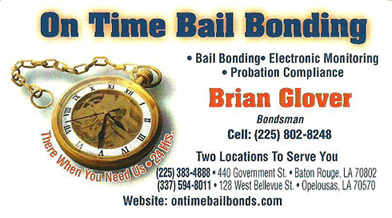 On Time Bail Bonds has been actively working in the industry for more than 15 years. Our full staff of qualified bail bondsmen is fully licensed and insured and will act swiftly to help you or your loved one get out of jail quickly. We're on call day and night to help in the most pressing situations, and we always offer a high level of compassion and discretion on every case. 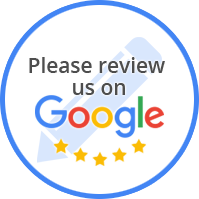 The Baton Rouge, LA, bail bondsman agent team we employ is experienced at dealing with a number of different situations and dedicated to your ultimate satisfaction. Make sure On Time Bail Bonds is the first number you call for help when freedom is at stake. On Time Bail Bonds is positioned to meet the changing landscape of the criminal justice system brought on by technology, combined with prison overcrowding and the high cost of incarceration. 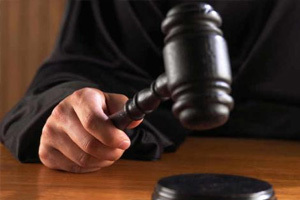 Alternative sentencing and pre-trial restriction both provide opportunities for the exercise of discretion which could allow the accused or convicted offender to continue to support himself and his family. We want to supply you and legal representatives with the tools necessary to be at the forefront of change. We are "A Force For Positive CHANGE".